Above is an example of a technique experiment. 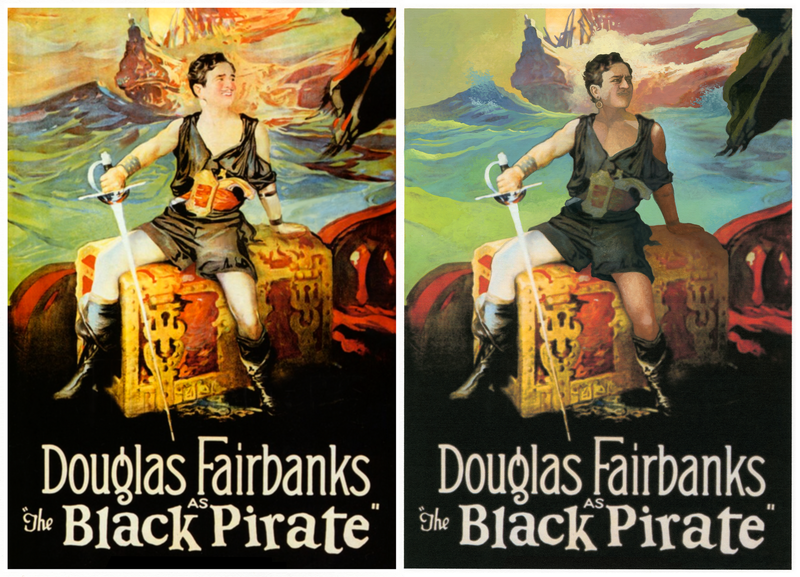 As many of you know, I am a big fan of Douglas Fairbanks and his silent adventure films. 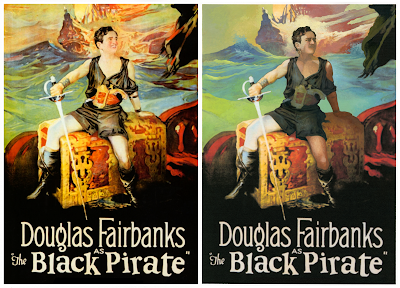 This vintage poster for his film "The Black Pirate" is a fun image that shows the aesthetic of the time, but I want ted to try painting into it to strengthen its value and color, and above is the original poster with my first attempt of working into a printout of the poster with traditional media. The poster was printed onto a 11 inch by 14 inch sheet of Canson Bristol Paper on the textured surface side using an Epson Stylus 1280 printer. The color is being applied using Pelikan opaque watercolors. 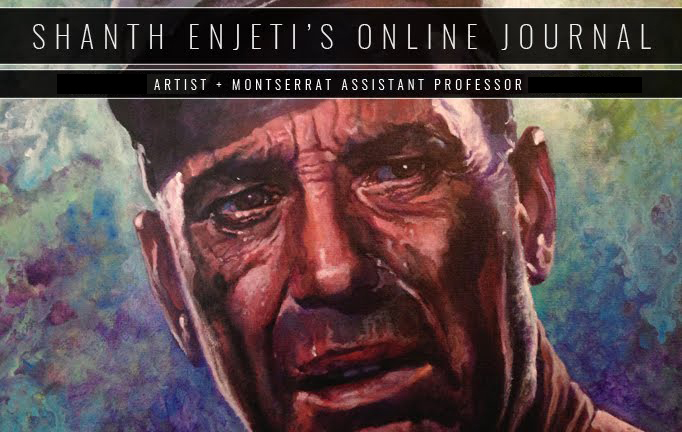 This initial phase of work is not too precise and is largely about reigning in the value and color. The background work was done in order to lower the contrasts and make the overall value lighter, while the foreground elements were darkened to try to add to the depth. The color, specifically the bright reds and warm notes in the background have been cancelled out with less vibrant colors to allow for the distant ship to appear farther away. The key elements to notice are the figure's darkened back arm and tattered fabric against the water with less contrast. The color of the arm has also been made a warmer reddish hue that allows for it to pop off the greener water. 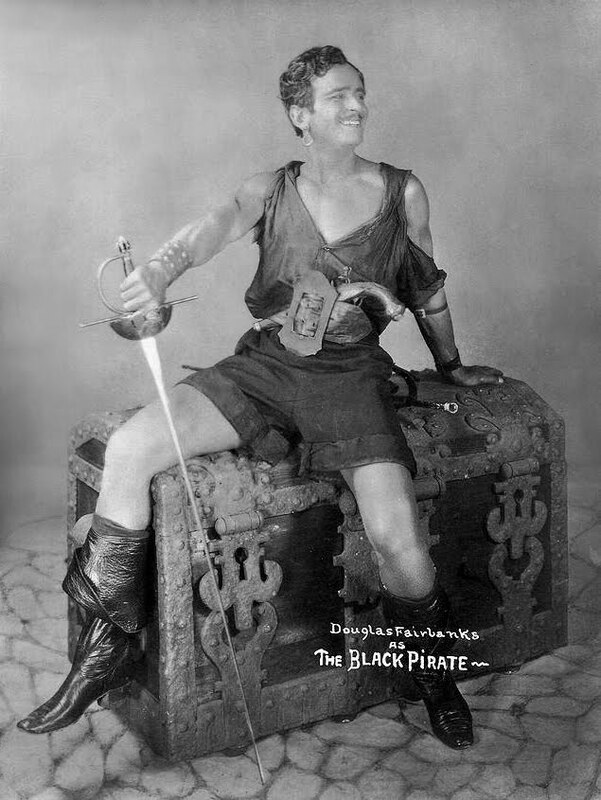 I was also able to track down the original promotional photo used to create the poster that I will use when I work into the figure with more detail. Here's an image I'm using as a warm-up before I start any technique-heavy work. My approach to this image mirrors a technique I use on my black and white sequential work. This work is done on a Canson bristol-like paper that they use in their comic art line of paper. The paper was originally developed in Turkey and handles a variety of media exceptionally well. It also has the unique ability to be run through my old Epson Stylus 1280 printer which is essentially the same as this printer. 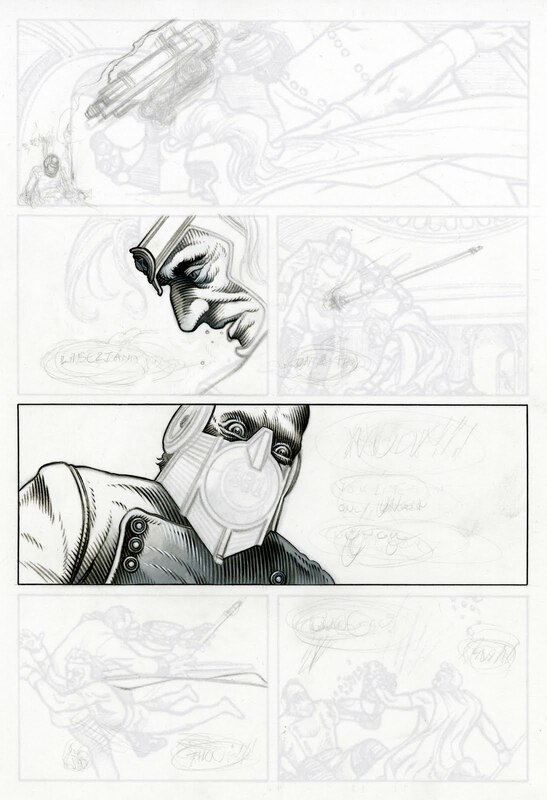 For this work, I scanned in the ancient photocopies of some of my college work, printed them in a very light grey on the Canson paper, and now I have a pristine surface that is ready to be inked and have additional pencilling done on it if need be. If this was a comic page, I would be doing the same process with my rough layouts being enlarged and printed instead. Following this part of the process, I use Faber-Castell PITT artist pens. I tend to use the range of grey brush-tips that they make, starting with WarmGrey III 272 and then Cold Grey 232, and a dark grey (235). I use the black brush-tip as well as the black size XS pen tip (the smallest size). The panel borders are done with a black size S pen tip. What make these pens so extraordinary is the fact that the PITT artist pen's ink is waterproof and does not bleed or smear when I lay washes of opaque watercolors over my ink lines. The pens also allow for the paint to absorb into the paper under the ink, which waterproof India Ink resists. If I want to add additional lines (and I always do) over the washes once they've dried, the pens do this with ease. I always use a blowdryer between washes for technical work to speed up the drying process. This brings me to the paint I use on all my illustration work: Pelikan Opaque Watercolors (24 set). On images like this, I use only the black and mix it with a tube of "Zinc White" Windsor Newton Designers Gouache when I want an opaque grey. For images like this, where I'm not doing large washes, I use a round-tip Cotman watercolor brush size 2 or 3. I also use that same tube of white to hatch into darker areas and line with white using a small round-tip watercolor brush size 0. The image above is on a 9 inch by 12 inch sheet of the Canson paper. All Artwork ™ and © Shanth Enjeti. Simple theme. Powered by Blogger.